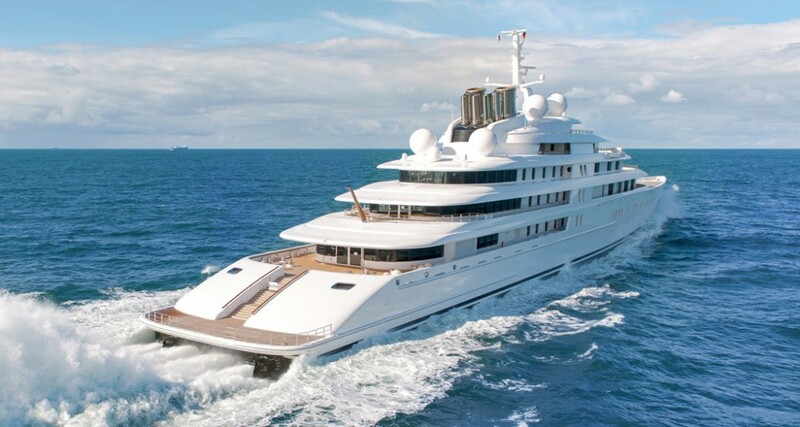 Creativity abounds aboard mega yachts, as these highly sought creature comforts prove. Every yacht, no matter the size, starts with a dream. Someone envisions weekends cruising the coast, or heading to the Bahamas, or even traveling around the world. 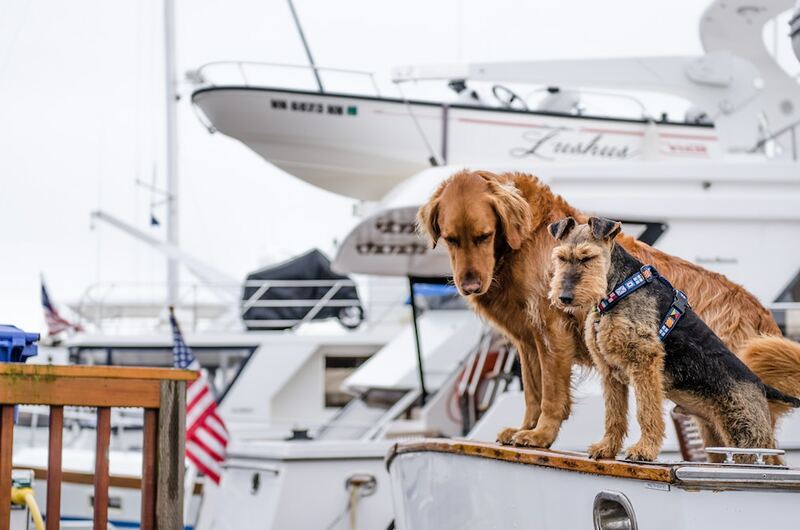 Besides having a properly engineered boat, they want comfortable areas where they can relax. Naturally, the bigger the boat, the bigger those areas can be. Related to this, the bigger the boat, the more creative owners and designers can be. In fact, sometimes all it takes is an owner to ask, “Can we do this?” to make a seemingly fantastical creature comfort a reality. That’s how these five must-have amenities started out: someone wondered out loud. 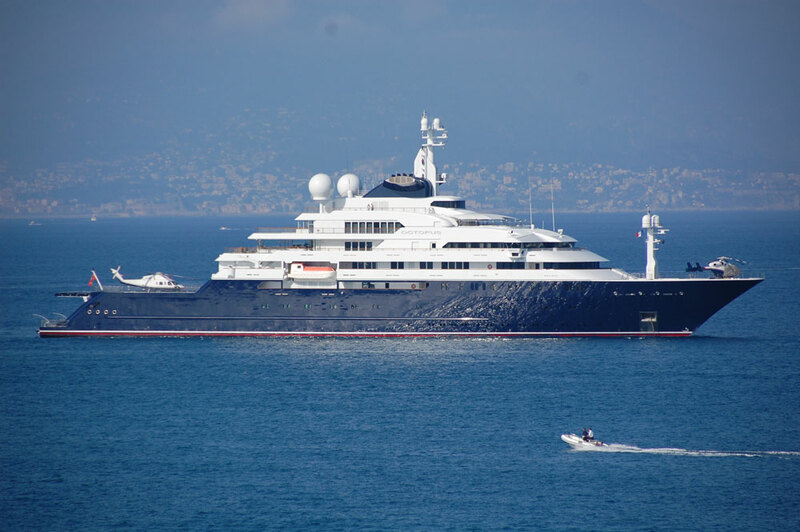 It’s a good thing, too, because plenty of megayacht owners and guests around the world are benefiting. Decades ago, hot tubs became all the rage aboard yachts. The warm, bubbling water holds the promise of relaxation, after all. Hot tubs are still popular, but full-size swimming pools started catching on a few years ago. Families love them, as do guests who enjoy taking a dip but don’t go in the ocean due to jellyfish or other concerns. 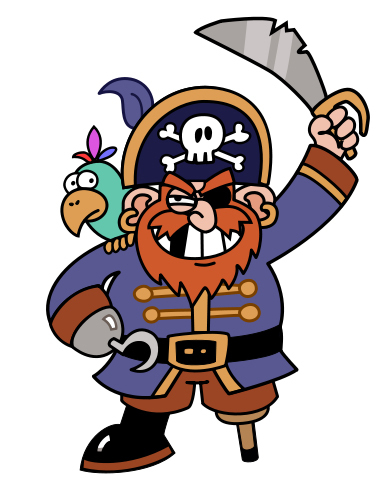 Regardless of who uses them, they’re the focal point of the deck upon which they sit. 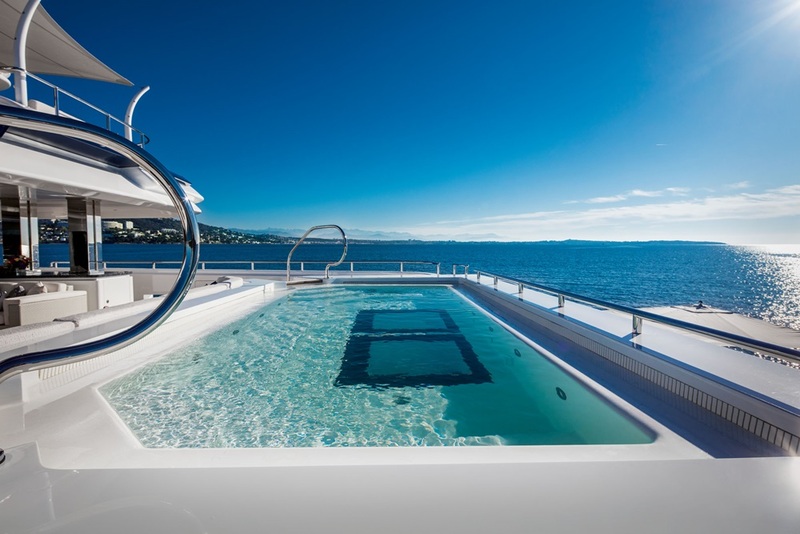 Many times, you’ll find megayacht pools stretching the length of aft decks. Alternately, like Cloud 9’s pool (pictured), they’re sometimes perched way up top, for enviable views. In nature, waterfalls are often associated with peaceful, calming surroundings. Aboard megayachts, waterfalls are similar, frequently situated on upper decks with pools. Some are simple cascades flowing out of a stylish faucet into a modest dip pool. Others are a little more elaborate, with sheets of water flowing down glass partitions. Still others, though, take waterfalls to grand scales. Take Galactica Super Nova (pictured), for example. She has a curtain of water a few feet across that creates an enviable ambiance across the entire upper deck. Health and wellness are big trends, especially for vacations. 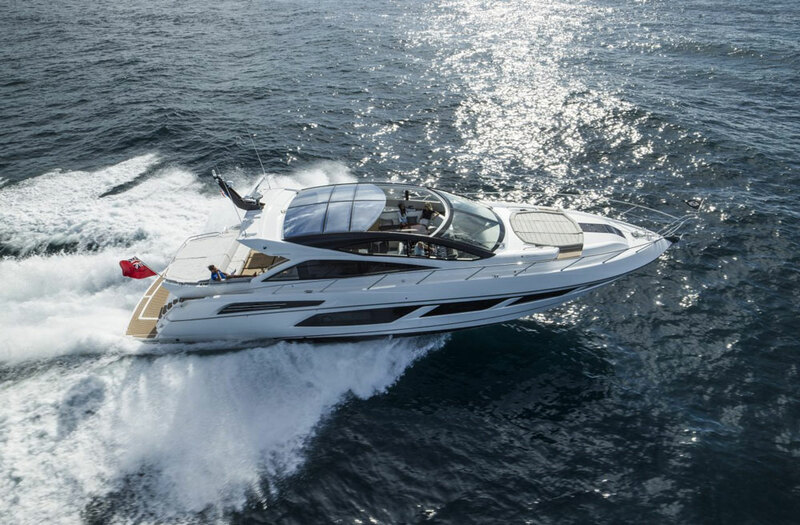 So it only follows that yacht owners want to experience them in their travels. 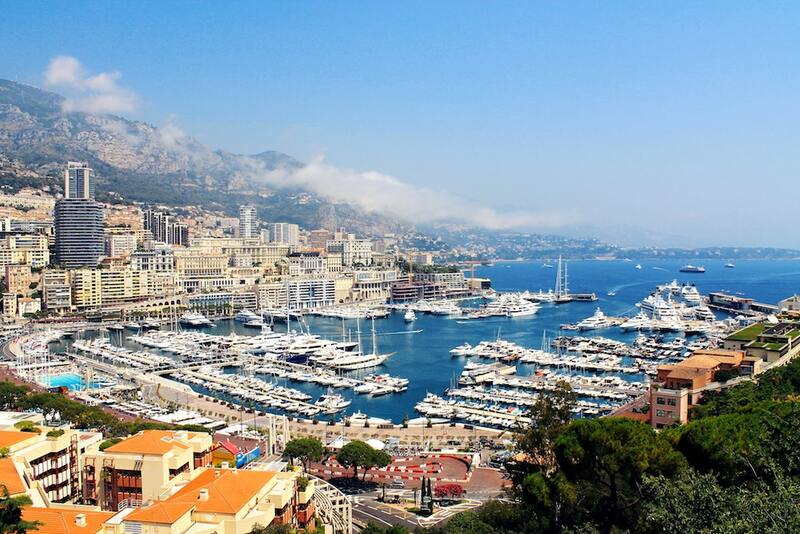 Furthermore, if their yacht is for charter, they want to provide a thoroughly relaxing holiday for charter guests. 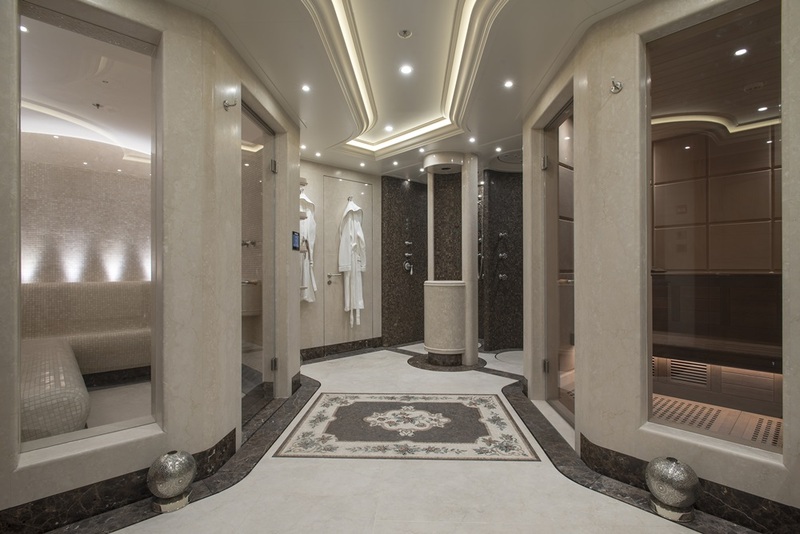 Therefore, onboard wellness centers can rival the finest hotel and resort spas. Some include dedicated massage rooms and gyms with top-notch equipment. Others add in plunge pools, small salons for hair and nails, plus saunas and/or steam rooms. Just stepping inside Areti’s spa (pictured) makes your shoulders relax. Sure, saloons and staterooms all have TVs, but why settle down in front of those screens when you can have a full-scale theater? 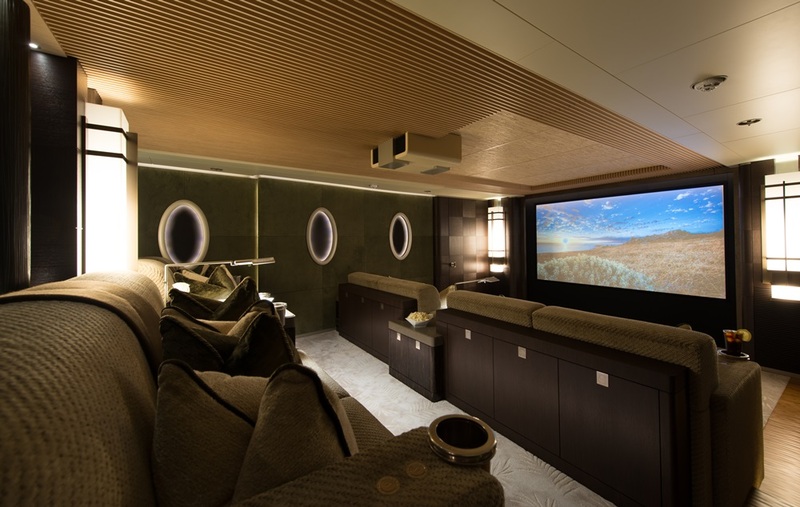 Megayacht cinemas are dedicated rooms complete with big screens, some truly theater quality, and equally big, comfy couches. 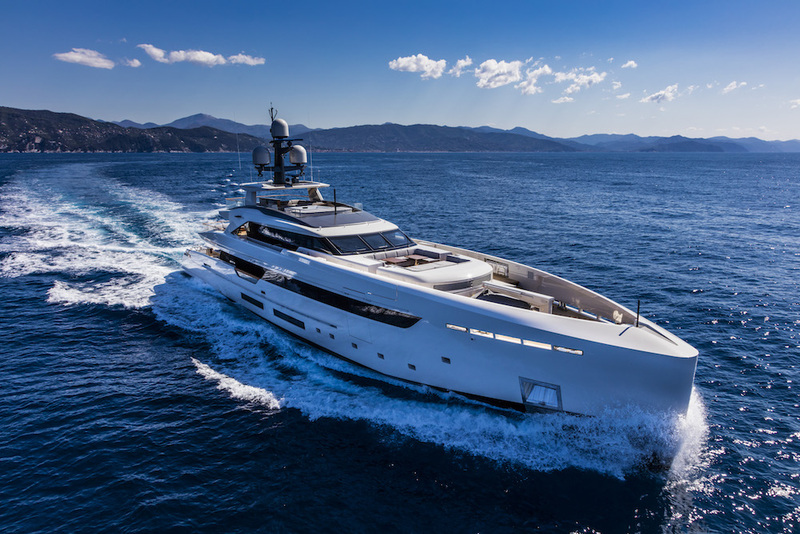 And, since no cinematic experience is complete without snacks, yachts like Nirvana (pictured) have custom cup holders in the seats. Better yet, today’s soundproofing technology means guests can thrill to screeching car chases, explosions, and more without sound escaping into the hallway or through adjacent walls. 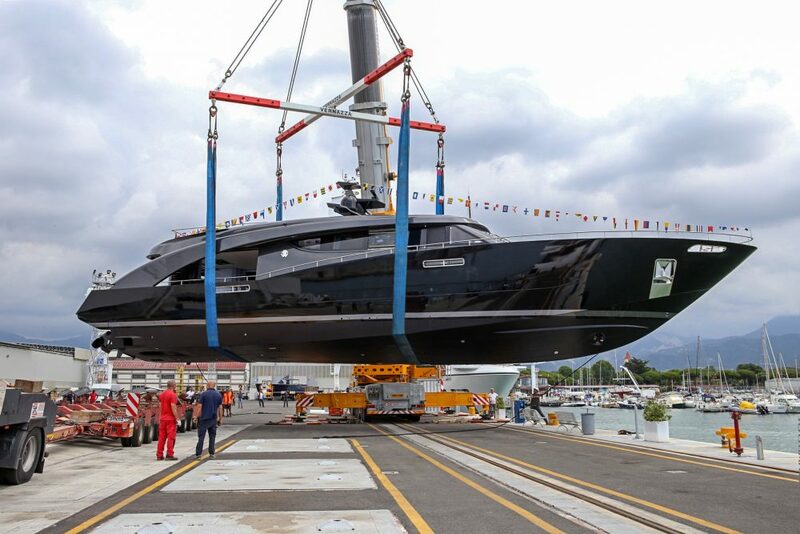 As megayachts get bigger, tenders go from sitting on deck to stowing in aft garages. In the ongoing pursuit of maximizing relaxation space, however, owners and designers prefer shifting garages slightly forward, to free up the transom. Thus, the beach club is born. This waterside lounge serves as a second saloon. It caters more to the bathing-suit-clad crowd, too, because of the proximity to the water. Fold-down platforms on all three sides bring more of that outdoor feeling inside. To heighten the ambiance, beach clubs often have bars. 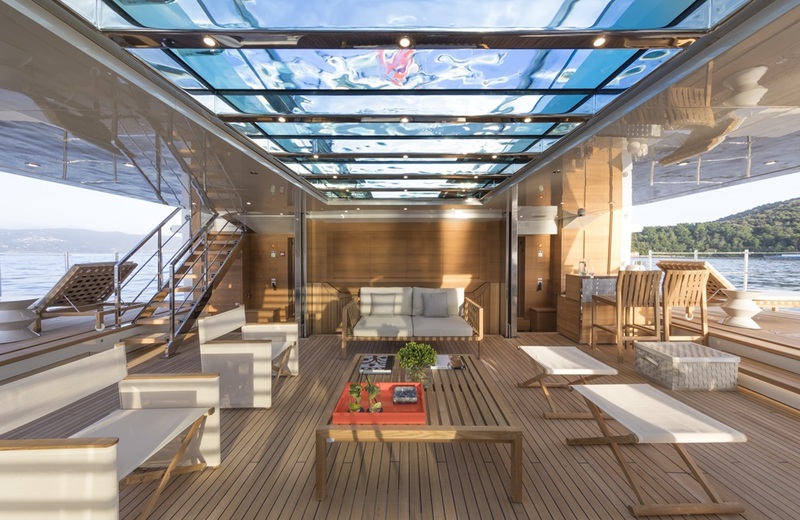 They increasingly feature skylights the way Seven Sins (pictured) does as well—the glass bottom of the swimming pool on the aft deck.